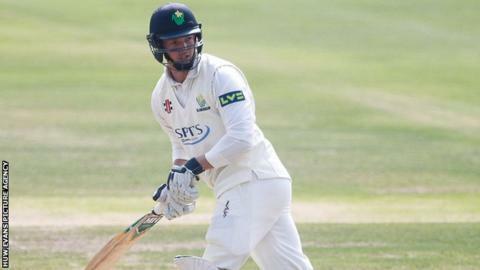 All-rounder Craig Meschede has targeted a place in the second-string England Lions team after signing for Glamorgan. The 24 year-old has signed a three-year deal after Somerset agreed to end his contract a year early. South African-born Meschede spent 2015 on loan at Glamorgan. "If I get a couple of hundreds on the board and take some wickets, I definitely think I can be in the line-up for England Lions or the England Performance Programme" he said. Meschede played in all but one of the Welsh county's matches in 2015 across the three formats and scored 655 runs in first-class cricket, claiming 43 wickets. He hit the headlines by claiming the wicket of England batsman Kevin Pietersen on the former England man's county comeback. "My mind-set is definitely going to be a lot stronger - towards the end of last season I was quite tired," Meschede told BBC Wales Sport. "This year I'll know what to expect and hopefully I can be a little more consistent across the second half of the season." Meschede admits it was difficult to leave Somerset, after coming through their academy and going to school in Taunton. "I was very comfortable there and had a good support system, but playing out of my comfort zone when I came to Glamorgan, a different environment - I really enjoyed it," he added. "It was a good environment for me but ultimately it was the amount of cricket I was going to be playing which was the ultimate (reason for my) decision."